Admitted in Arkansas, Tennessee, New York, Virginia and Washington, D.C. only. 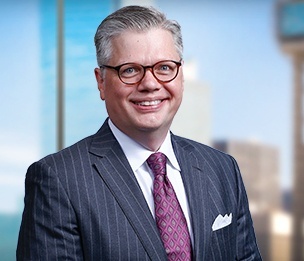 Walter J. Dunn is a member in the Corporate Finance Practice Group of the Business Services Department in Dykema's Dallas, Texas, office. Walter's practice is primarily within the corporate energy sector, having extensive experience in large construction projects. Walter helps clients with the negotiation and drafting of contracts for engineering, procurement and construction of large-scale construction projects, including coal fired power plants and supporting facilities, gas extraction, gather and processing facilities, ocean side terminals, storage facilities, nuclear power plants, as well as other projects such as luxury hotels, office buildings and public use spaces. He routinely drafts contracts for inclusion in requests for proposal and assists in the bid evaluation stages, as well as negotiation with successful bidders and contract administration during construction.